Barron Trump is a wonderful person. At only ten years old he has dignity and grace, and I read that he has a very high IQ. Barron is outstanding, and President Trump wants his son EDUCATED, not INDOCTRINATED, like Obama and Clinton. The President and the First Lady have chosen a school in Potomac, Md., for Barron to attend in. 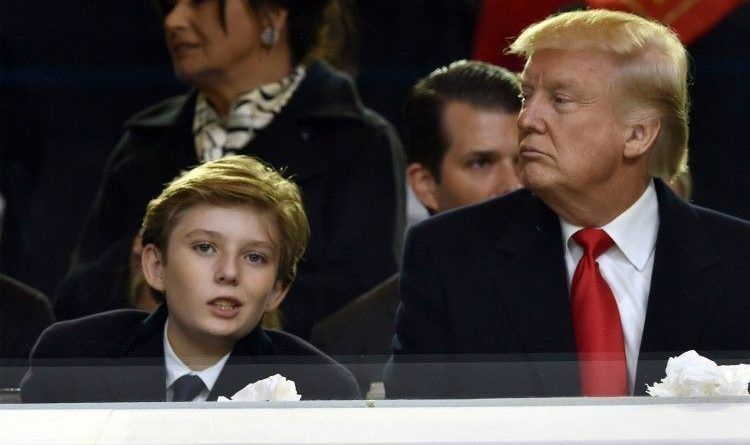 According to a new report, Barron Trump is facing bullying at school over his father. “It’s so unfortunate for someone so young and innocent to have to deal with that so we definitely hope that Barron and Melania feel better soon,” the article continues. The report this week from Hollywood Life claimed that Trump’s alleged affair with the adult film star is creating a rift in the first family. The report said that Melania has been filled with fear and anxiety since Daniels filed a defamation suit against Trump, claiming that he smeared her by denying the affair and calling her a con artist. The very high profile accusations have also caused problems for their son at school, a source told the celebrity news outlet. “Worst of all, her heart breaks for her son who gets regularly teased at school and has a hard time defending his father to his classmates,” the unnamed source told the media outlet. Hopefully, the bullying stops soon for the youngest in the Trump family. It is always a horrible situation when a kid gets teased for something he has no control over. I can say only one thing leave the kids out of this! I mean what kind of parents would talk things like this in front of their children!